The sport of basketball has evolved over the years. TV ratings have dominated airwaves as games are broadcasted globally. However, many people feel that this evolution ignited some controversial issues. These debates have sparked over player development or lack thereof. The AAU (Amateur Athletic Union) is recognized in many circles. Recently, we are seeing phenomenon open a gateway for athletes to become marketable for sponsorships, gain scholarships at universities, and for some coaches to make money off sport that is supposed to be about the kids. AAU has been around for a long time, but in the past 10 years we have seen a substantial amount of attention given to these young athletes through it. 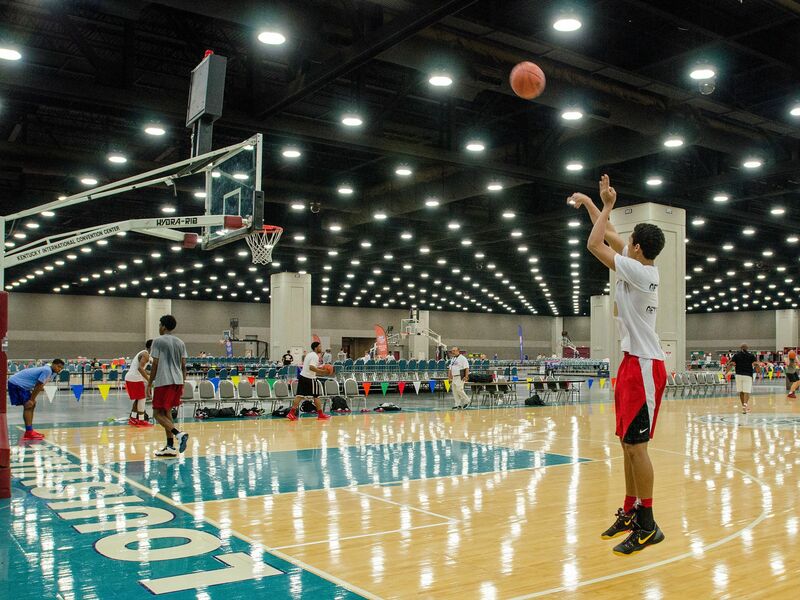 The whole concept of AAU is a great concept as it exposes athletes to collegiate institutions. However, a lot has went wrong lately. Today teams are structured for seemingly one intention and that is MONEY. For example, the AAU world has been influenced by major shoe companies, Nike, Adidas, and Under Armor primarily. The money flow for these teams makes the competition for players almost like a marketplace. As a result, rumors of AAU coaches admitting to accepting money has been speculated in some social circles. This is because the incentive to influence their players to play for certain schools is paramount. For this reason, the big issue is teams caring more about shopping players and the financial payout over the kid’s ability. Many NBA superstars such as Kevin Garnett, Kobe Bryant, and Charles Barkley feel that this is leading to the game being ruined due to players being taught how to dunk even before they can dribble.They believe the game has lost core fundamentals as the idea of having a superstar on the floor is bigger than having five playmakers. Sure, we all want to see the flashy passes, and high flying dunks, but at what cost? AAU is nothing more than street ball and it’s affecting the player’s skills down the road, as well as their high school teams. We are seeing this world of AAU become the main focus for players because as previously noted, that Is where their recruiting from colleges comes from mostly. As a result, we see players come back from their summer travels and into high school season with a complete lack of structure to their game. Thus, we are seeing players sometimes compete less hard as they would in a game as they would in the AAU circuit. If you take talent out of the picture, one has to examine the character of these athletes. The exposure of these coaches at games could create pressure for the athlete to not live up to their fullest ability. This can really affect a generation that already has a reputation for being lazy. Let’s face it, we need something like AAU, it has proven to be much more efficient for players to be seen by schools because there is no overlap between seasons of college and AAU. However, at some point the dark shadow of corruption is going to catch up the game and like most issues in the world, we are willing to risk it if money is in the picture. If we could come together and structure this system of play and have these coaches focus more on fundamentals, we could see the game of basketball head into a direction of what the game was meant to be and what it was founded on.